Construction of the town and castle began in the late 13th century at a ford in the Vltava River, which was important in trade routes in Bohemia. In 1302 the town and castle were owned by the House of Rosenberg. 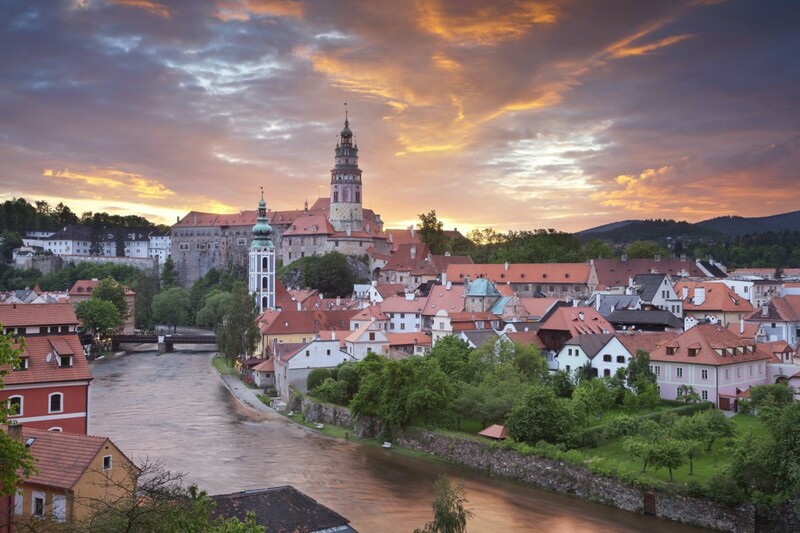 Emperor Rudolf II bought Krumlov in 1602 and gave it to his natural son Julius d’Austria. 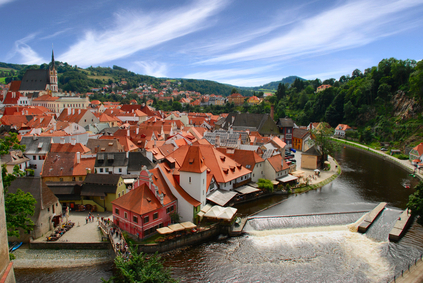 Emperor Ferdinand II gave Krumlov to the House of Eggenberg. From 1719 until 1945 the castle belonged to the House of Schwarzenberg. Most of the architecture of the old town and castle dates from the 14th through 17th centuries; the town’s structures are mostly in Gothic, Renaissance, and Baroque styles. The core of the old town is within a horseshoe bend of the river, with the old Latrán neighborhood and castle on the other side of the Vltava.